Since starting FYB in 2003 I’ve always believed that the most important asset of a web agency is the team and its knowledge; not the HQ, not the workstations, not the server side technologies or the clod solutions it uses, but the team. In a few words, let me tell you why: technologies come and go, cloud solutions get better and better, it’s hard not to be out of date in 1-2 years. At the same time, sites launch, refactor, improve, relaunch and close from time to time. Hosting services go better and better and upgrading them gets to be more and more complex; at the same time, having the knowledge to use the better and better technologies and harvest all its advantages becomes more and more of a challenge. Not having the right people beside you when these things change evolve can be a big headache. Not having informed people beside you is even worse (As classics say: is training expensive? Calculate the cost of not training your team…..). So, back to square one: the most important thing to have near you in a web agency IS having the right people at your side. How do you do that? Well first of all… don’t go corporate on them if you’re not a corporation. Stick to what you know best, fast adapting to the ever changing environment, be close to your team, engage and challenge your team members to improve and share their knowledge. 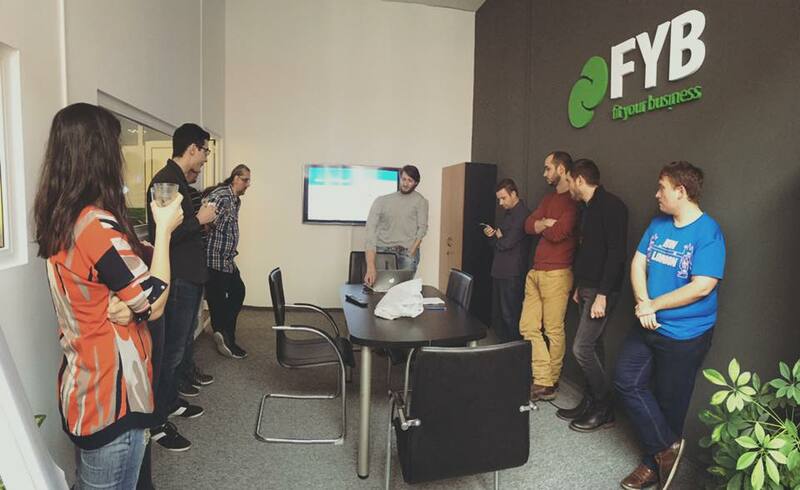 Simple, efficient and fun, #FYBTalks is one of the best ways to keep in touch the your colleagues while learning…. PS. If it sounds like fun, keep in touch with us via email or social media or maybe you’ll want to join us ;)!